ONE SIZE FITS ALL by Extra Medium. Extra Medium is more than just your typical DJ from the U.K, with a moustache that can be groomed from ear to ear. He has an incredible talent for upcycling 1920’s to 1950’s classics into bass heavy electro swing. And for the last year Extra Medium has produced music in his own ‘extra’vert style, creating quite the rapport amongst talented musicians and DJ’s alike. 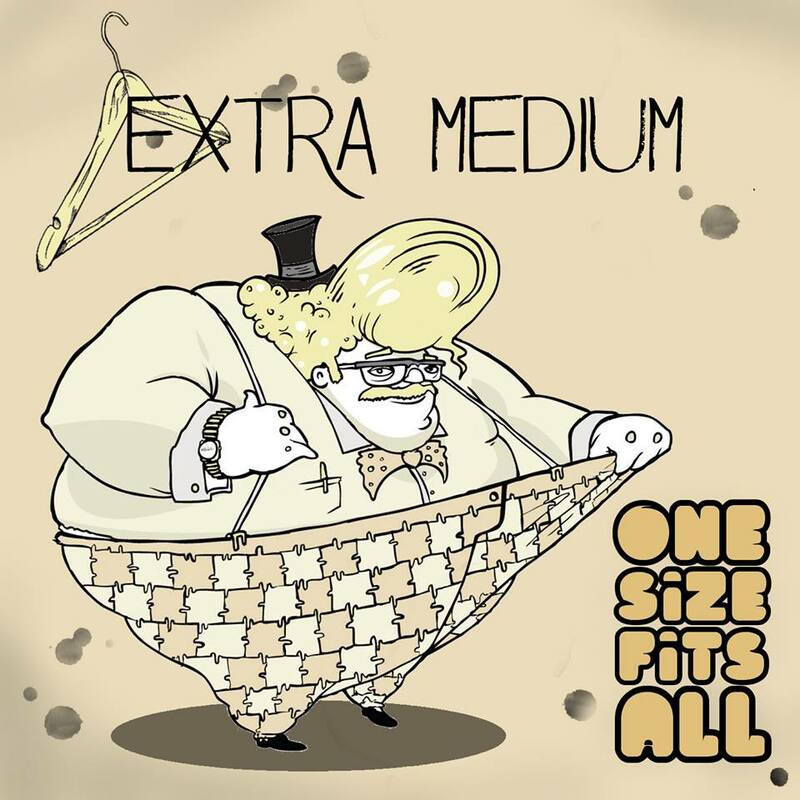 In the later part of this year Extra Medium is releasing a toe tapping, head bopping and finger snapping debut album “One Size Fits All” and album that is sure to set the tone for the rest of his musical career. As for the rest of Extra Medium’s career, be sure to watch this space as he shall be developing his own live performances in the near future so things will only go from Extra Medium to Extra Large! At the moment we are working under high pressure on our next release: “SWING IT!!! Finest Eletro Swing vol.1” is scheduled for release on October 11th. This is a huge collection of 26 Tracks from all over the world! 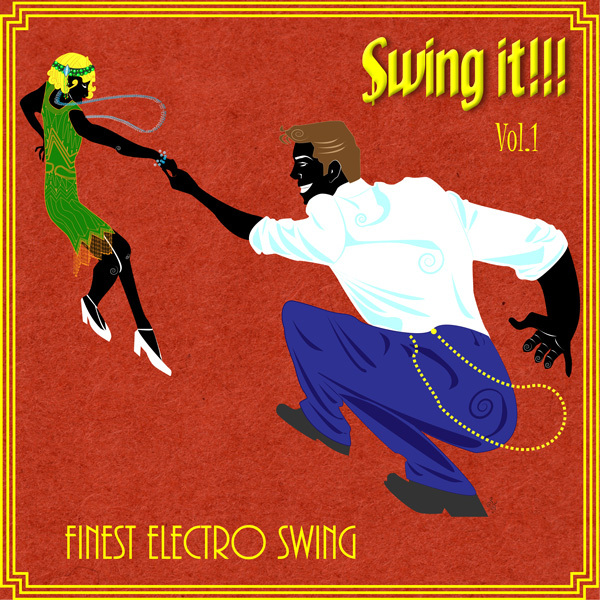 Electroswing is a genre with a great diversity. The producers are coming from different corners of the musical universe like, Techno, House, Minimal, Funk, Hip Hop, Drum&Bass, Dub – just to name a few. But all of them feel a special love for Swing! The tracks were selected by Cab Canavaral and Tony Maroni. A part of the big names like Bart & Baker, Skeewiff, Grant Lazlo and [dunkelbunt] who are already well known in the scene, there are many brilliant tracks to discover, you might have never heard about before. Many of them haven’t been released yet. We are happy to make them available for download worldwide. On June 14th our next release will be in the stores like iTunes, beatport, junodownload. We are proud and happy to release the debut of the Vienna based group KISS ME YESTERDAY called “Swing Affair”. Once upon a time DJ and electronic artist Paul bumped into two female jazz players. Since that day the stone for KISS ME YESTERDAY was laid and their story is blossoming and evolving. Paul, with his fancy creative base, plays the funky beats with attention to fine details. Together with Hela’s soft and incisive voice and the lively, virtuoso play with Lisa on her soprano and alto saxophone, the electro swing band created their own, individual sound. Kiss Me Yesterday, who only play live in concerts perform boasting sets with pumping beats alongside swingingly samples, romantic grooves and sweet breaks. Their self-produced tracks leave room for improvisation and allow the audience space to be abso-swingingly free. 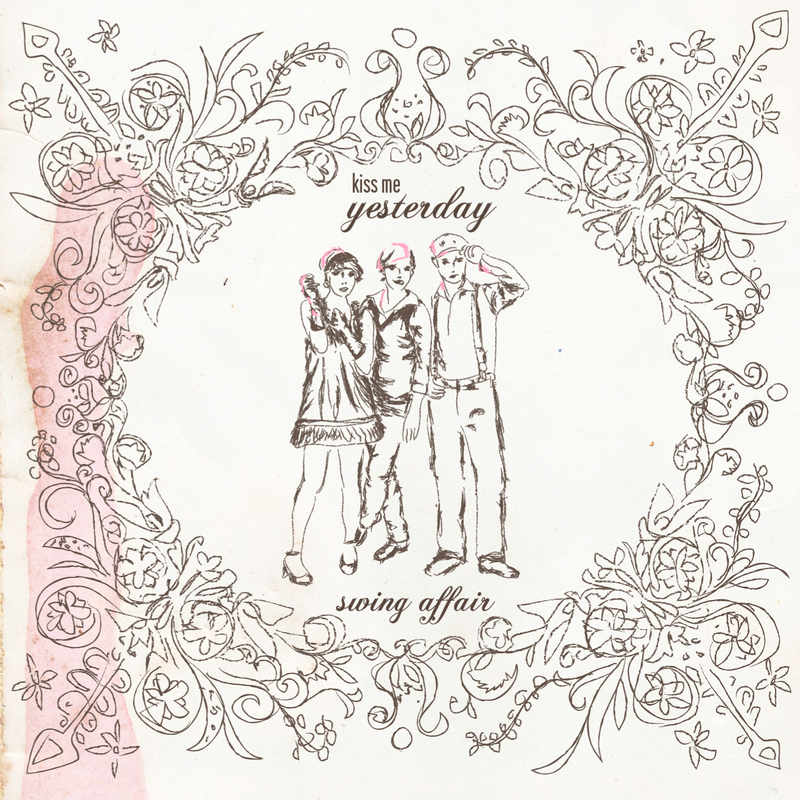 Kiss Me Yesterday’s first EP “Swing Affair” perfectly shows their versatile styles and colours. Inspired by both swing and electronic masters, Paul, Hela and Lisa combine their individual stories and music styles into one unique sound experience. Kiss Me Yestereday represents the fusion of a deep love for old skool styles integrated with the moves of the present. Time to shake and swing, honeys! and many more download shops world wide! check it out on Juno! We proudly welcome a new electroswing project from Hungary on board of Billybong Records! 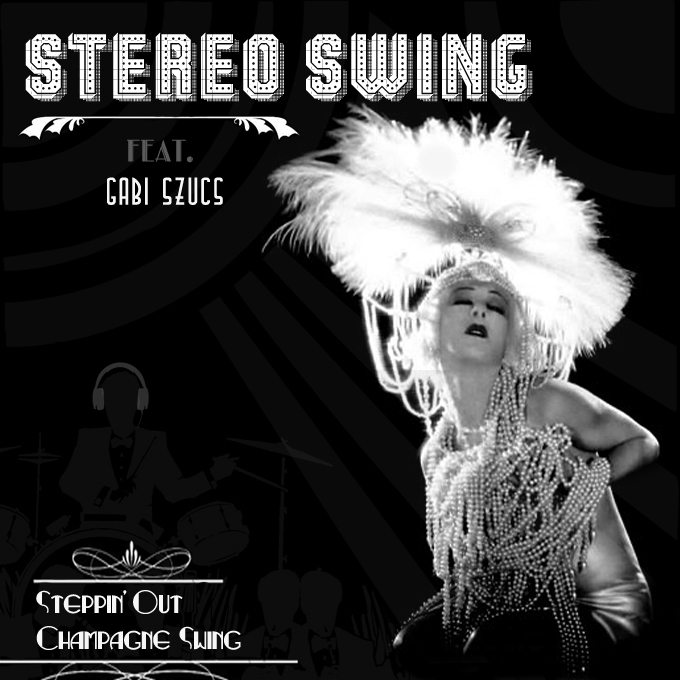 Stereo Swing is a hungarian electro swing project produced by Big Swing Lou. Lou is a very experienced musician who has hit the drums in many bands playing swing, jump blues and rhythm & blues. Beyond that he started to produce his own music in the studio and became an important member of the hungarian electro swing movement. The previews of his first two tracks „Steppin’ Out” and „Champagne Swing” raised an enormous positive feedback in the international electro swing scene. The featured singer Gabi Szűcs is a wellknown hungarian jazz singer. She was a founding member of the Cotton Club Singers and part of the band for 14 years. They have won many awards, like the Emerton price of the hungarian radio in the category jazz band of the year. The first EP “Stepping Out” will be available in all important download stores soon (19.5.2013). on 3rd March The compilation “Buona Sera Signorina” was released by Green Queen Music. Buonasera Signorina is the latest compilation release from Green Queen Music; Compiled and mixed by Feel Good Productions founder, international DJ and producer Pony Montana; it is a foot-tapping collection of eighteen club style, electro-swinging vintage-sound remixes and original tracks. It also contains a number of tracks created exclusively for the compilation such as Dr Cat’s remix of ‘Me and Mr Wolf’ as well as the title track ‘Buonasera Signorina’ by Pony Montana feat. The Swingrowers, amongst others … it’s electro-swing Jim but not as you know it! We are happy and proud that “Ich bring Dich um die Ecke” a remix by Cab Canavaral is part of this album!